Tourism is one of the largest and most profitable industries in the world today. Yet the vast majority of tourist guidebooks focus on a small, elite segment of the population and encourage consumption and spectacle as the primary way to experience a place. These representations do not reflect the reality of life for most urban residents—including people of color, the working class and poor, immigrants, indigenous people, and LGBTQ communities—nor are they embedded within a systematic analysis of power, privilege, and exploitation. We need a different kind of guidebook: one that explains power relations in a way everyone can understand, and which shares stories of struggle and resistance that inspire and educate activists, students, and critical thinkers. A People’s Guide is a series of guidebooks that uncover the rich and vibrant stories of political struggle, oppression, and resistance in the everyday landscapes of major cities. Much as Howard Zinn’s A People’s History of the United States infiltrated the standard history textbook with untold stories of the nation’s past, the series will reveal an alternative view through the format of a guidebook. These books will not only tell histories from the “bottom up,” but also show how landscapes are the product of struggle. Each book will include sites where the powerful have dominated and exploited other people and resources, as well as places where ordinary people have fought back in order to create a more just world. Entries will be accompanied by photographs, maps, personal reflections, and nearby sites of interest to create a resource that is both visually appealing and highly usable. People’s Guides are aimed at both locals and tourists, and are well suited for scholars and teachers of history and geography, activists, and those who seek a more authentic experience of place. Currently, we are not accepting unsolicited proposals for this series. 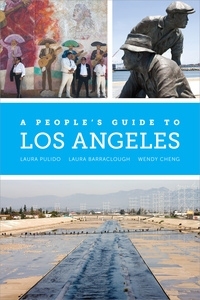 Laura Barraclough (laura.barraclough@yale.edu), Assistant Professor of American Studies, Yale University, is the author of Making the San Fernando Valley: Rural Landscapes, Urban Development, and White Privilege. Wendy Cheng (wendy.cheng@asu.edu), Assistant Professor of Asian Pacific American Studies and Justice & Social Inquiry, Arizona State University, is an award-winning photographer and author of The Changs Next Door to the Díazes: Remapping Race in Suburban California. Laura Pulido (lpulid@gmail.com), Professor of American Studies and Ethnicity, USC, is the author of Black, Brown, Yellow, and Left: Radical Activism in Los Angeles and Environmentalism and Economic Justice: Two Chicano Struggles in the Southwest.